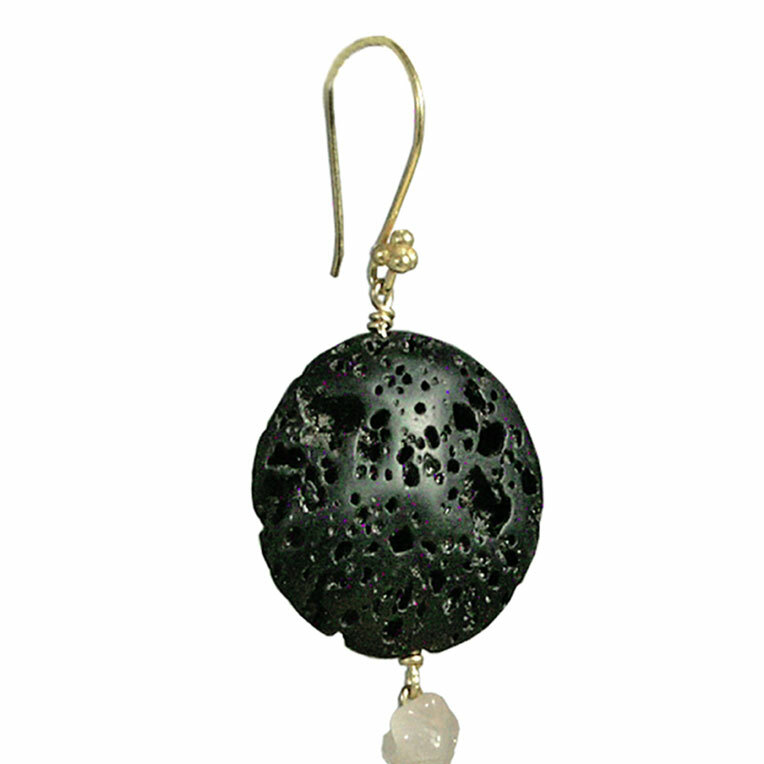 Materials : Enamel, Lava, Pink Quartz and Vermeil. 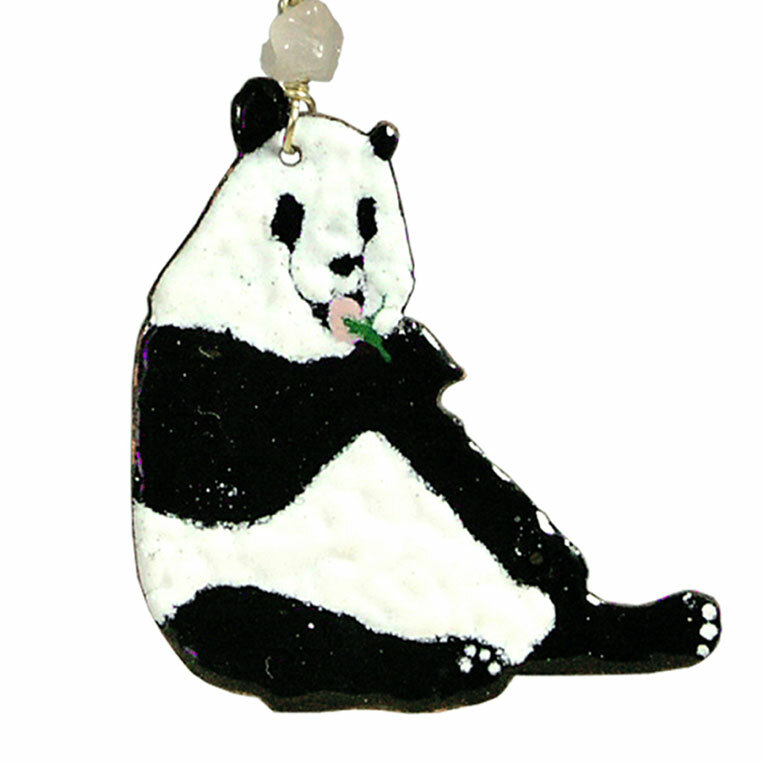 Size : 8 cm / 3.14" Long, Panda : 4.5 x 4.5 cm / 1.77" x 1.77".
" 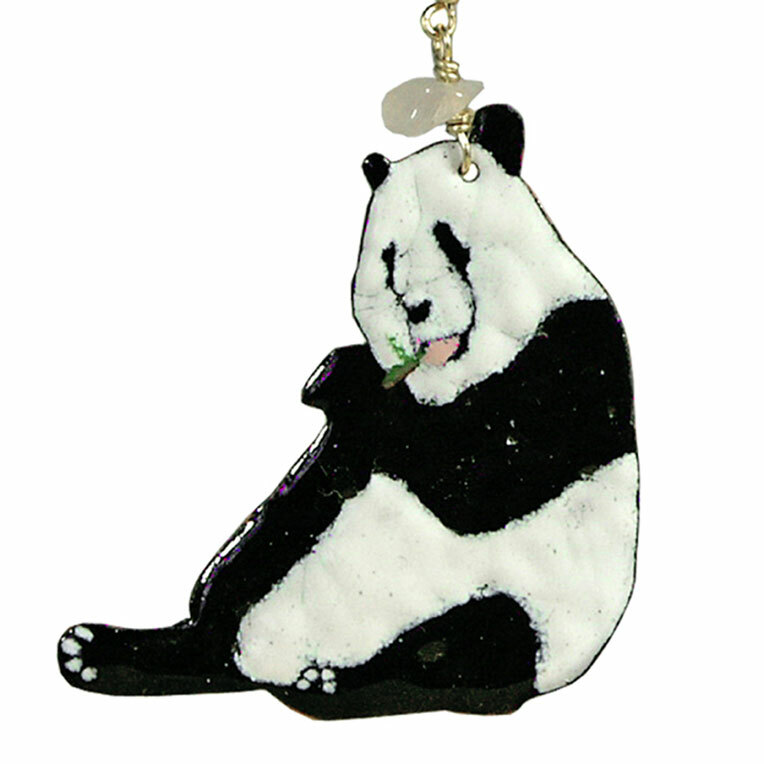 Previously, pandas were completely white. One day, the youngest of four sisters died, they dipped their hands in the ashes as a sign of mourning. Crying, they rubbed their eyes to wipe away their tears, they then search comfort by hugging each other and finally blocked their ears to not hear the crying around. Legend has it that the ashes left black spots on their fur." Folk tale. 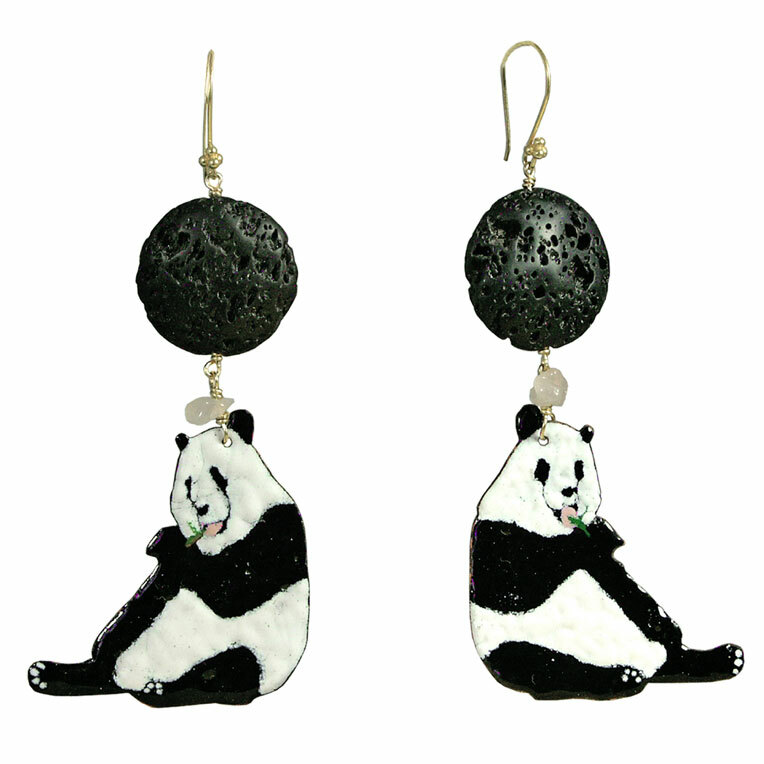 Pandas are enamelled both side and setted with a rose quartz and a lava disc. Hook in vermeil, small rubber stopper included. Unique piece. Black can not win visually on white and vice versa, and to succeed this mixture without turning into a panda, you must play subtlety. If you do not have the talent of our stumped dandy, be sure to temper contrasts.